Beylicium is a shopping mall located in Istanbul, Turkey. This photo was submitted by UB. 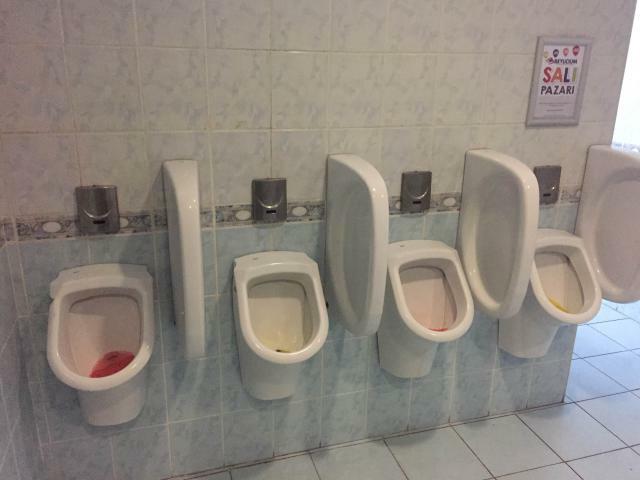 He writes: "I just got some pics of urinals in a not-so-popular mall called Beylicium. It's kind of an old mall but never had a chance to be popular. Quiet, lonely but trying to survive..."